There are world class shows available to see while staying in Las Vegas, Nevada, USA. For an evening or two of entertainment Las Vegas is an interesting place to visit. There is a huge line up of shows with many well known headliners.The neon lights and billboards along the Las Vegas strip vie for attention promising stunning and glamourous shows.Be sure to check out our selection of Las Vegas Pictures. 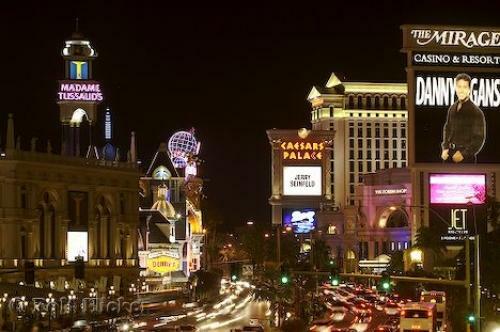 Photo of the bustling Las Vegas Strip lined with billboards advertising the evening shows.